The oldest of four children, Marvin grew up in an upper middle class home. Both of his parents had well-paying careers. But in his youth, Marvin suffered from mental health issues which led him into substance abuse. Despite his parents’ best efforts to help him, Marvin ended up leaving home before finishing high school. He lived on Skid Row in Los Angeles and later for more than 10 years in Seattle’s Jungle, a dangerous and squalid homeless encampment. Marvin found that help and started long-term, intensive therapy, participated in a residential drug treatment program and learned new coping skills. He became motivated to continue his education and secure more steady employment. After completing his GED, he received an Administrative Office Professional certificate and earned an Associate of Applied Science degree. 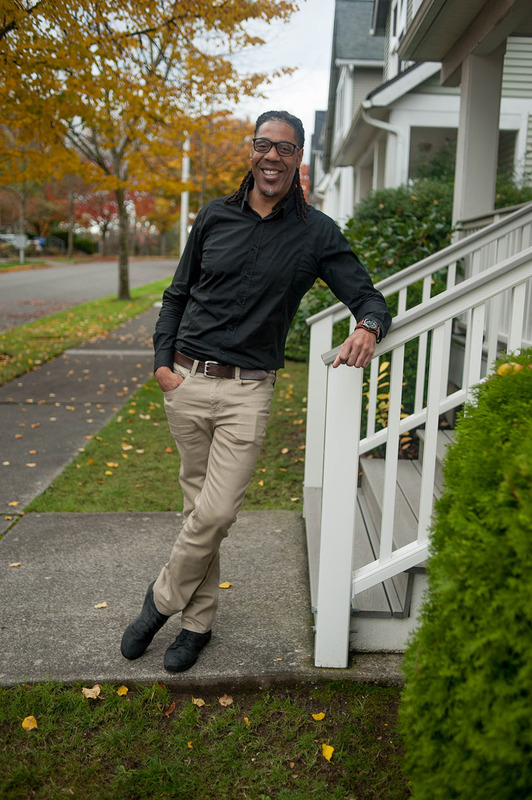 While in transitional housing, Marvin applied for housing with the Seattle Housing Authority. Stability provided Marvin with the desire and opportunity to clear up issues from his past, including paying off debts and repairing his credit. He also began a difficult process of trying to repair relationships he had lost. Estranged from his family when he was homeless, he found out after reconnecting that they had hired private detectives to try to find him before his mother died of cancer. His sister told him that, as their mother passed away in her arms, Marvin’s name was the last word she spoke. Filled with regret and loss, he recognized that intentionally staying away from his family so they wouldn’t witness his downfall caused everyone more pain “I didn’t know how bad I hurt them. I let my family down. I let myself down,” he said. The relationships he was able to re-establish with his father, siblings and their families became the highlight of his new life. But Marvin’s resolve was to be tested again. His sister was killed by a drunk driver and his brother died in a motorcycle accident. Although he deeply grieves their loss, Marvin has been able to hang on to the life he has rebuilt for himself and is finding his place in extended family. He visibly brightens as he talks about meeting his baby grand-niece for the first time and is extremely proud of his adult niece and nephews.